The small-sized electric scooters are all the rage in streets these days. They have been gaining popularity very quickly in the recent months. Let’s find out more about these new compact electric scooters. An Overview Although the devices have only recently taken over the streets, they have been around for quite some while. At first, the idea of these compact electric scooters was very fascinating but when it came to the production, the prices of these scooters were beyond the reach of the common people. However, over time, the battery technology has improved, and so have the prices. The compact electric scooter comes in multiple variations. You can get a hybrid version that partly runs on fossil fuel and partly on batteries. There is a Pro mode which is more modern and strong. Then there is also a sports version for people who are all about speed. URB-E scooters URB-E is among the most popular options for people who are fascinated by the idea of compact electric scooters. It is because the company has earned the trust of the consumers. The name URB-E actually stands for urban electric. The company offers easy to carry and affordable electric scooters that are convenient for everyday use. People who travel through public transport but live far away from public transport spots find these compact electric scooters a very convenient option. Although there are alternatives like Uber or Lyft or a regular taxi, the issue is the cost. What these services charge can get pretty out of budget especially if you have to travel a few miles every day. Safe for the environment and user-friendly Other than being cost-efficient, the compact electric scooters are harm-free. There are no harmful and toxic gases being released into the environment. While being convenient, they are environment-friendly as well. You can opt for completely battery operated scooters to make sure you are not causing any damage to the environment whatsoever. These electric scooters are portable as well. This means you can carry them around without a worry when you’re not riding on them. Other than that, these compact electric scooters are perfectly suited for today’s fast world. Where everyone is in a hurry to reach a certain place, unpredictable traffic jams can cause delays. The best option in such cases is to glide through the jam-packed vehicles and reach your destination in time. This is possible only with the URB-E scooters. Having big cars is no luxury you would be proud of when you are stuck in traffic for hours. Even if your car is electric and environment-friendly, you still miss out on a lot of perks of having a small little scooter. 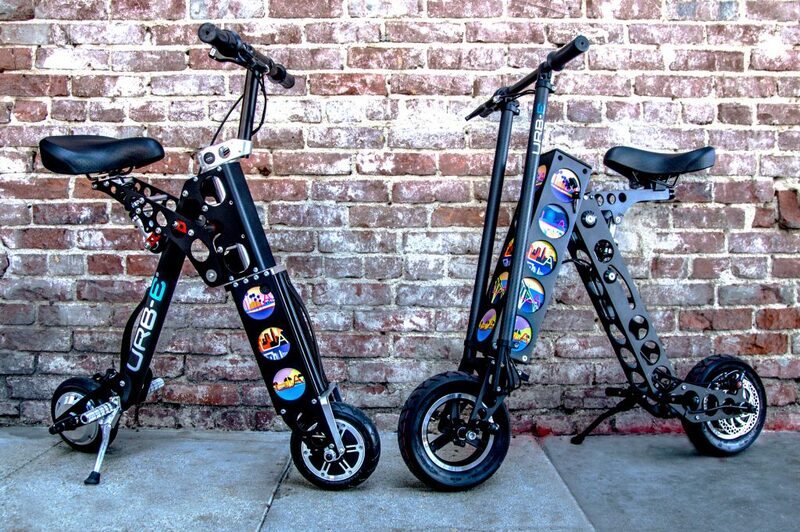 The best part about these new scooters is that they are super cool and trendy! You are actually getting all the benefits at affordable prices, and all this while you’re only being referred to as the coolest kid in town! So stop waiting and get your URB-E electric scooter right away!